Pressure is mounting on Rupert Murdoch's media empire, as his exclusive Olympic access deal falls through. Team 2012 said it had terminated the media partnership with the publisher due to the closure of the News of the World tabloid amid the phone-hacking scandal, which made it impossible to fulfil the original contract. Under the deal Murdoch’s remaining papers in Britain – The Sun, The Times and The Sunday Times – would have been able to brand themselves the “Official Newspaper of Team 2012”. 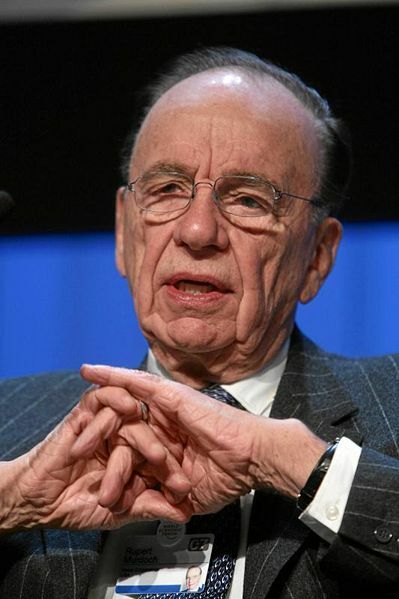 But the move comes amid a massive public backlash against Murdoch's papers, including an advertisers' boycott of the News of the World over hacking allegations, a move that triggered the closure of Britain's biggest-selling Sunday newspaper. "The Team 2012 joint venture, including Visa as its presenting partner, has had a contract with the News International Group as its official media partner," Team 2012 said in a statement. "As a result of the closure of News of the World, the contract can no longer be fulfilled as originally envisaged." Team 2012 said it was "now exploring media partnerships across a range of channels". It said that "all parties in the joint venture remain totally committed to Team 2012 and are working to make sure that we continue to give the 1,200-plus athletes from Team 2012 Visa the best chance of achieving success". Since it emerged that News of the World hacked into and deleted the voicemails of a murdered schoolgirl the scandal has spiralled to involve police, politicians and even put pressure on Prime Minister David Cameron. Two top police officers, Scotland Yard chief Paul Stephenson and anti-terror supremo John Yates, have resigned saying reports linking them to the scandal made it difficult for them to focus on security for the Olympics, which begin in just over a year's time.